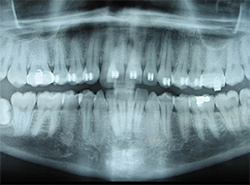 Do the Dentists at Aliso Kids Dental use Digital X-rays? Yes! 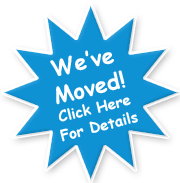 Aliso Kids Dental and Orthodontics uses the most advanced dental technology possible. This is just as important as staying up-to-date on the latest dental treatment techniques. As a kids dentist, we are dedicated to providing your child with the safest and most convenient treatment options available, we utilize advanced digital X-ray technology in our state of the art Aliso Viejo office. As Aliso Viejo's top children's dentist office, we care about your child's health and well-being, we believe that reducing the amount of radiation exposure is extremely important. Although the amount of radiation used in dental X-rays is very small, the effect is cumulative, so all radiation counts. Digital X-rays can reduce your child's exposure to radiation by up to 80 percent! As the premier pediatric dentist office in Orange County, our dentists and orthodontists are focused on making your child's experience as comfortable as possible. At their next appointment, the pediatric dentist will be happy to answer any questions you may have. Sometimes brushing is not enough, especially when it comes to those hard-to-reach spots in your child's mouth. It is difficult for a toothbrush to get in between the small cracks and grooves on teeth. 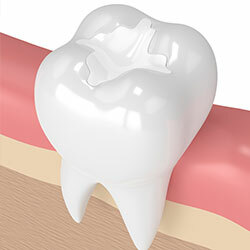 If left alone, those tiny areas can develop tooth decay. Sealants give your child's teeth extra protection against decay and help prevent cavities. Dental sealants are a plastic resin that bonds and hardens in the deep grooves on the tooth's surface. When a tooth is sealed by the pediatric dentist, the tiny grooves become smooth, and are less likely to harbor plaque. With dental sealants, brushing becomes easier and more effective against tooth decay. Dental sealants are typically applied to children's teeth as a preventative measure after the permanent teeth have erupted as a way to prevent tooth decay. It is more common to seal "permanent" teeth rather than "baby" teeth, but every patient has unique needs, and the pediatric dentist will recommend sealants on a case-by-case basis. Sealants last from three to five years, although it is fairly common to see adults with sealants still intact from their childhood. A dental sealant only provides protection when it is fully intact so if your child's sealants come off, let the dentist know, and schedule an appointment for your child's teeth to be re-sealed. At Aliso Kids Dental, we GUARANTEE our sealants - which not many others will do. Ask us about our Sealant Guarantee at your next appointment. Nobody wants their child to have a cavity. At Aliso Kids Dental, our pediatric dentists educate your kids about the use of fluoride on their teeth. Fluoride is effective in preventing cavities and tooth decay and in preventing plaque from building up and hardening on the tooth’s surface. A fluoride treatment in your dentist’s office takes just a few minutes and is much different than the fluoride treatment you had as a child. Gone are the days of trays filled with goopy fluoride! After the treatment, patients may be asked not to rinse, eat, or drink for at least 30 minutes in order to allow the teeth to absorb the fluoride. Depending on your oral health or your doctor’s recommendation, you may be required to have a fluoride treatment every three, six, or 12 months. Before your child's treatment begins, the doctor will discuss with you all of your options, and help you choose the best filling for your child's particular case. To help you prepare for this discussion it may be helpful to understand the two basic types of dental fillings — direct and indirect. Once a tooth has been removed, neighboring teeth may shift, causing problems with chewing or with your jaw joint function. To avoid these complications, your dentist may recommend a space maintainer or that you replace the extracted tooth. Whether she wears braces or not, protecting your child's smile while playing sports is essential. Sports related injuries to the mouth and jaw are some of the most common injuries received by athletes. Aliso Kids Dental's goal is to help minimize your child's chances of a sports-related injury. Mouthguards help protect teeth and gums from injury. 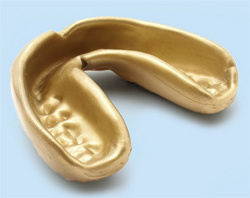 The American Dental Association recommends the use of a mouthguard if your child participates in basketball, boxing, hockey, football, gymnastics, lacrosse, martial arts, racquetball, rugby, track and field, skateboarding, skiing and snowboarding, skydiving, soccer, surfing, volleyball, water polo, weightlifting or wrestling. Choosing the right mouthguard is essential. There are three basic types of mouthguards: the pre-made mouthguard, the "boil-and-bite" fitted mouthguard, and a custom-made mouthguard from your dentist. When choosing a mouthguard, be sure to pick one that is tear-resistant, comfortable and well fitted for your child's mouth, easy to keep clean, and does not prevent him from breathing properly. If he wears braces or a retainer, it is imperative for him to wear a mouthguard. Your dentist can show your child how to wear a mouthguard properly and how to choose the right mouthguard to protect his smile. Replace the mouthguard at the beginning of every new sports season. You should also replace your child's mouthguard if you notice it has become worn and not longer fits properly. Bring the mouthguard to each dental checkup and the dentist can check to make sure it's still in good shape!